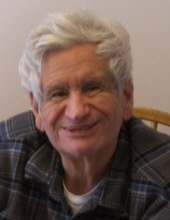 Aiello, John -- Age 72, of Swartz Creek, formerly of Detroit, died September 1, 2018. A funeral Mass will be celebrated at Mt. Zion Catholic Pastoral Center, 8228 N. McKinley, Flushing on Monday September 10, 2018 at 11:00 am. A viewing prior to service will be from 9:00 am to time of service. Services will conclude at the church. Burial will occur at Resurrection Cemetery in Clinton Twp. Arrangements are being handled by Sharp Funeral Home and Cremation Center, 6063 Fenton Rd., Flint. The family would like to invite attendees to a luncheon following the service. Details will be provided following the service. John was born March 29, 1946 in Detroit the son of John and Rose (Ragusa) Aiello. John was preceded in death by his sister Blase (Aiello) John. He is survived by his brother-in-law Edwin John, and niece Roseanne John and nephew E. Bruce John (Gabriela John). He was preceded in death by his sister Marion (Aiello) Scott, and his brother-in-law Elmo Scott, and his niece Lyn Scott Ponder (James Ponder dec’d), and nephew Neil Scott. He is survived by his nephews Curtis Scott (Julia Weisenborn), and, Dean Scott (Tom Shaw), and nieces Gail Scott Ray (William Ray) and Patricia Scott Robinson (Tom Robinson) . He was preceded in death by his brother B. Nicholas Aiello and his sister-in-Law Geraldine Aiello. He is survived by his Niece Vickie Aiello Castiglione (John Castiglione) and nephew Raymond Aiello. He was preceded in death by his sister Francis Aiello Kraemer and his brother-in-law James E. Kraemer, and a nephew, James C. Kraemer. He is survived by his nephew, Michael J. Kraemer (Mary E Kraemer). He is survived by many great nieces and nephews. John was a simple man with a big heart who was devoted to his mother for whom he provided care for many years. He cherished family ties and his Italian heritage. He loved the family property in Brighton, Michigan and enjoyed taking care of it, being outdoors doing yard work, gardening, or doing odd projects. He was fond of repairing lawn mowers. He tried to be a friend to all and was generous. The family would like to thank the nursing staff at Briarwood nursing home, as well as his private caregivers. He previously resided at American House North, and the family thanks them for their friendly and dedicated service. Also, a heartfelt thanks to the Mt. Zion Catholic Pastoral church community for welcoming John into their hearts. He lived for your potlucks! To send flowers or a remembrance gift to the family of John Aiello, please visit our Tribute Store. "Email Address" would like to share the life celebration of John Aiello. Click on the "link" to go to share a favorite memory or leave a condolence message for the family.